Registered managers and their teams play an important role in supporting people when they are transferring in and out of hospital. 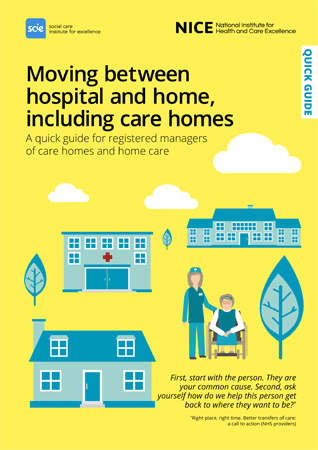 This quick guide provides a brief overview of how managers can work with hospitals to ensure a good experience of transition for the people in their care. Visit the fully interactive web resource at Moving between hospital and home, including care homes.